You always have your own song, though you may not always remember where you last left it. Look around and find the notes. They're not as far away as you might thing. Hum a few lines and it will all come back to you. Your song is never far, though I know that it sometimes seems to be entirely gone. It isn't. 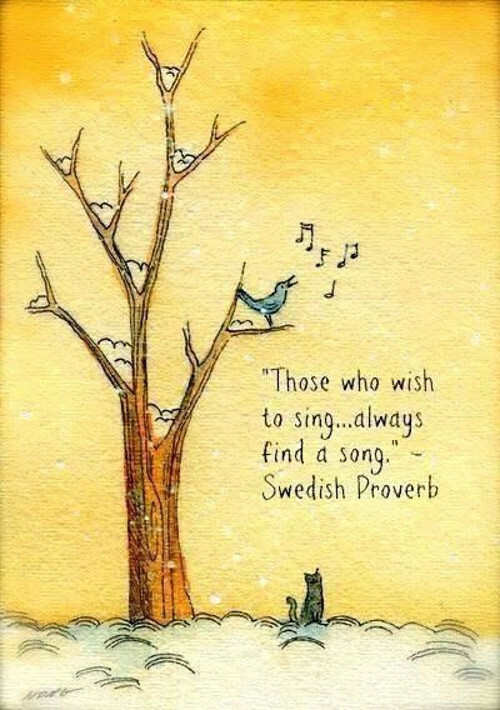 You just have to start singing, and it will be there.